Ah, pizza, how I love you. Pizza allows you to get create in ways that you may never have imagined: there’s fruit on pizza, every meat imagineable on pizza, a variety of sauces, no sauce at all, whatever cheese you like, and of course, there are dozens of options for the crust. You could, in theory, come up with a different version of pizza to eat every day for the next year. Granted, you’ll have to be rather creative to make 365 different pizzas, but it could be done. This particular pizza came about as I was thinking of foods that I liked: caramelized onions, mushrooms sautéed in butter with thyme, and goat cheese. I knew they would make a fabulous pizza, but I wanted something just a little different. 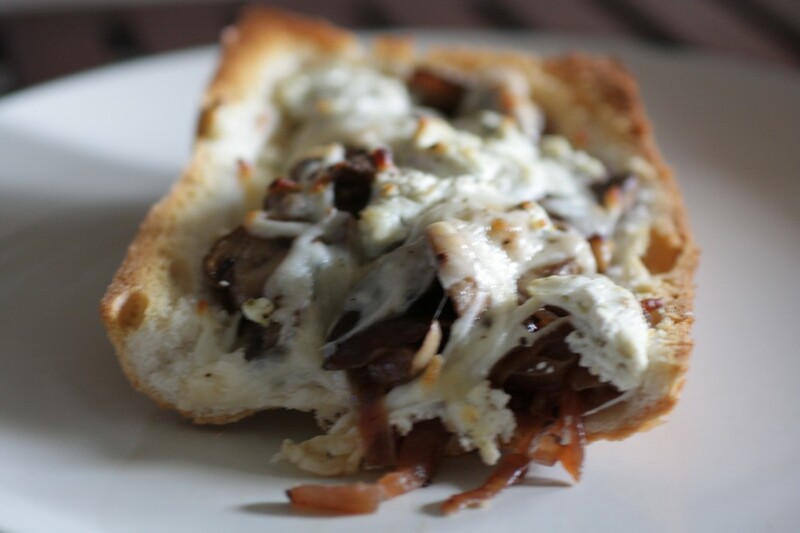 I thought of all of the different pizzas I’ve had in my life (and there have been a lot), and I remembered that when I was young, we would often make French bread pizza in my house. It was good, but the toppings had a tendency to roll off. So I scooped out the bread in the center. 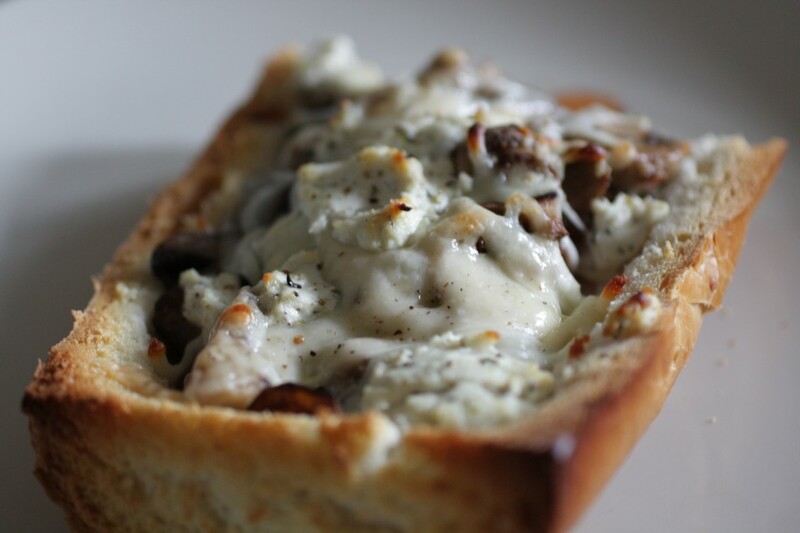 It’s perfect; it makes a wonderful little trench that you can stuff with any toppings your heart desires. 1. 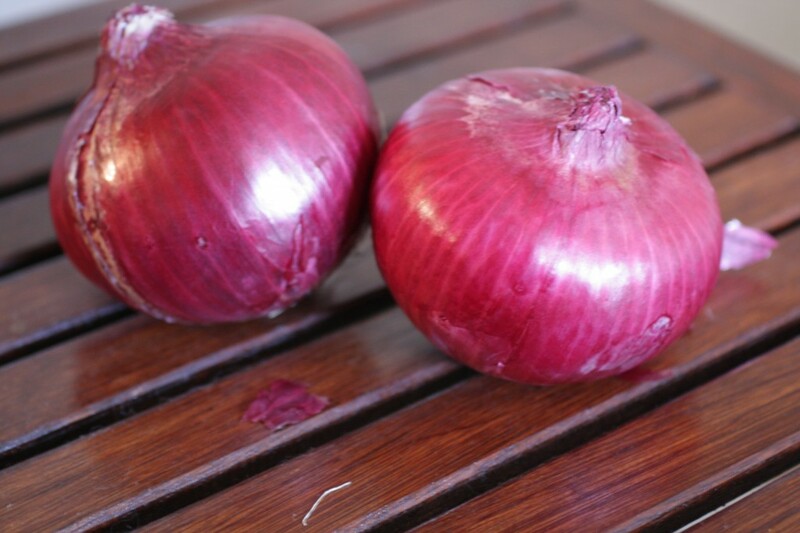 Cut onions in half through the pole and cut into thin slices. Heat butter in large saute pan over medium heat. Add onions, salt, pepper, and thyme, and stir to mix. Allow onions to caramelize, stirring occasionally with a wooden spoon. As the onions cook down and a fond develops on the bottom of the pan, deglaze with a splash of white wine. I like to deglaze the pan two or three times; total cooking time for the onions is about 45-60 minutes to get good caramelization. The multiple deglazings of the pan will really intensify the flavor. 2. When the onions have caramelized, heat the butter in a second large saute pan over medium heat. Remove the stems from the mushrooms and slice the mushrooms. Add the mushrooms to the pan and give a good toss or stir to coat. Add the salt, pepper, and thyme and continue to cook. Mince the garlic. 3. Preheat the oven to 425 F.
4. 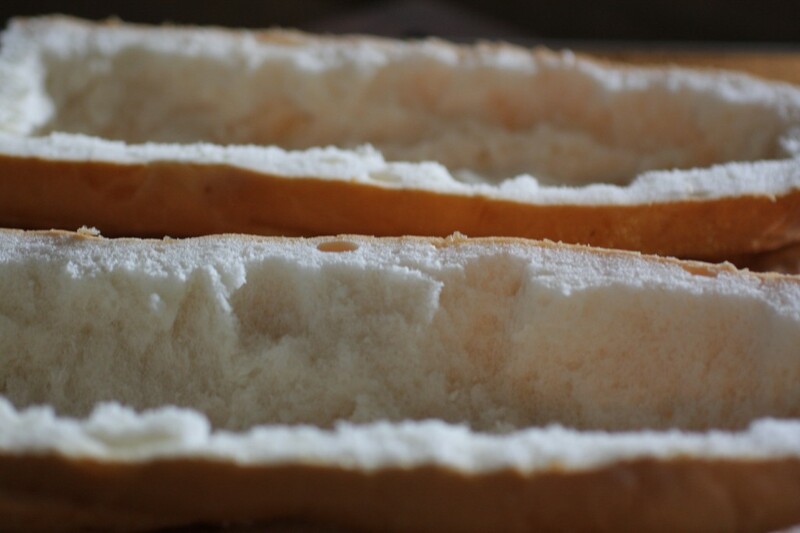 Cut the french bread in half horizontally and scoop out the bread in the middle to hollow out the loaves. Brush the inside with extra virgin olive oil. Spread the caramelized onions into the loaves. 5. When the mushrooms have released their juices, add the garlic and cook until fragrant. Top the onion mixture with the onions. Drizzle just a little extra virgin olive oil over the mushrooms. 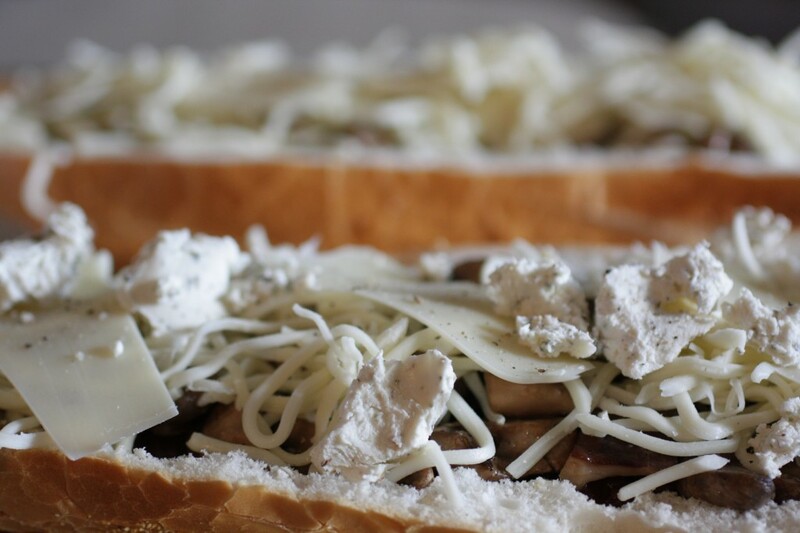 Top with mozzarella, parmesan, and goat cheese; sprinkle with salt and pepper. Bake for 8-12 minutes, or until the cheese starts to brown (the baking time will depend on how much cheese you use – that is entirely up to you!). I used to eat those frozen french bread pizzas when I was a kid, I loved them. I need to try this, I usually make the traditional style pizza.